I love to paint quick “plein air” oil sketches of my surrondings. After 2 years in Decatur, GA, I had accumulated a number of sketches with no real outlet for them besides this sketchblog. When I saw that the town had a juried competition for a postcard design, I put 6 of my sketches together into a design. 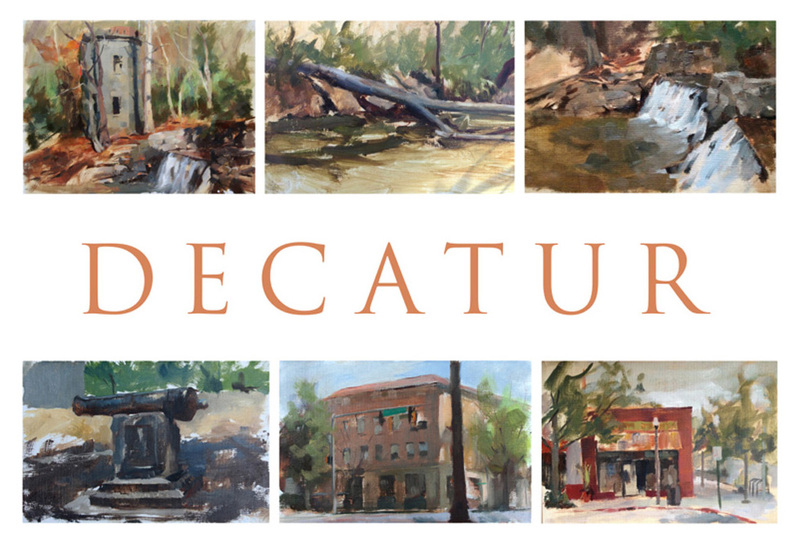 My design won, and now the postcard is being sold around Decatur. 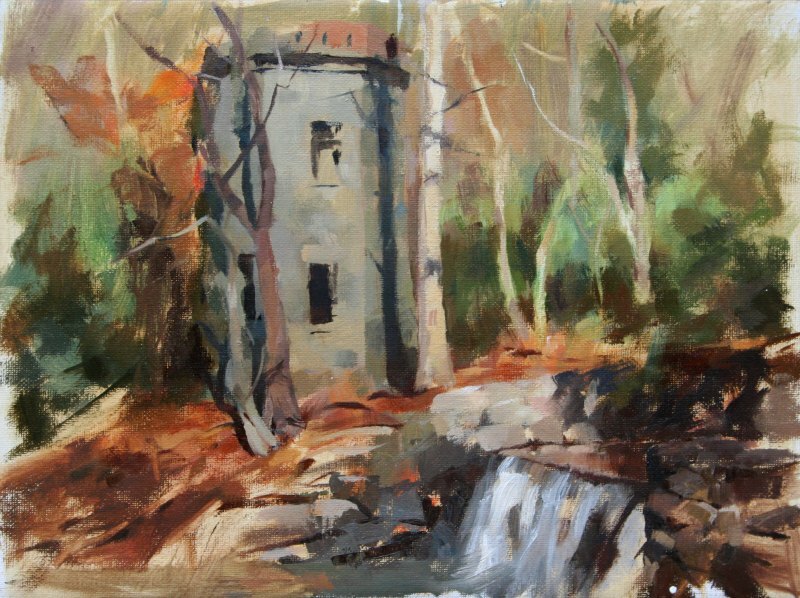 The design includes this painting of a mill tower by the falls in Lullwater park on the grounds of Emory Collage. That is the only painting I didn’t post here yet, even though I worked on it a while ago.